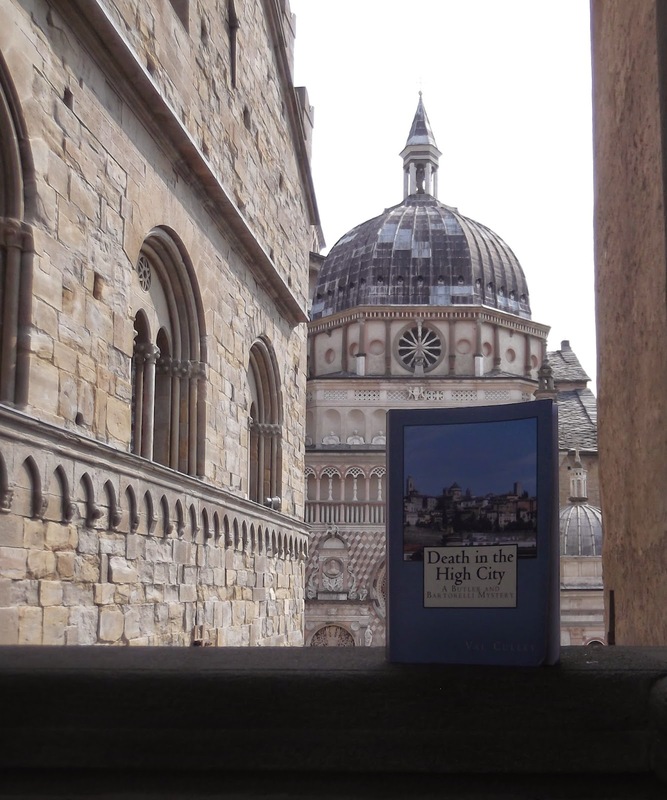 Death in the High City, the first British detective novel to be set in Bergamo, has had an exciting first year. The novel, which was published in Kindle format on Amazon 12 months ago today, has sold copies in the UK, Italy, America, Australia and Canada. 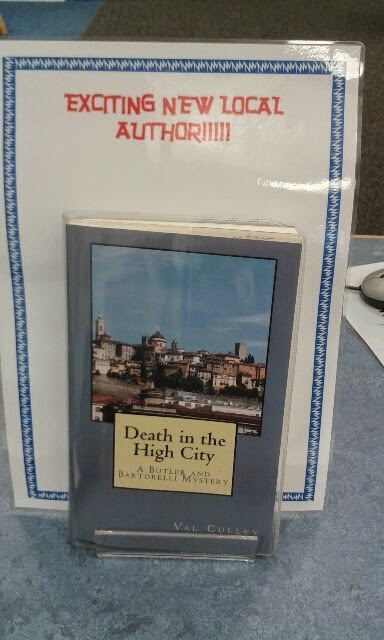 A paperback version of Death in the High City was published in July 2014. Author Val Culley has had some heart warming emails and messages about the book from readers both in the UK and abroad and has been delighted with the level of interest in her first novel. The novel is the first of a series to feature the characters of Kate Butler, a freelance journalist, and Steve Bartorelli, a Detective Chief Inspector, who is of partly Italian descent and has just retired from the English police. Kate visits many of the places in the city with Donizetti connections and her enquiries even take her out to Lago d’Iseo and into the countryside around San Pellegrino Terme. But after her own life is threatened and there has been another death in the Città Alta, her lover, Steve Bartorelli, joins her to help unravel the mystery and trap the killer. The reader is able to go along for the ride and enjoy Bergamo’s wonderful architecture and scenery while savouring the many descriptions in the novel of local food and wine.